No matter how hard we try, we just can’t seem to quit the sweet stuff. In fact, the average American consumes more than 126 grams of sugar per day, making the United States the most sugar-obsessed country in the world. It’s common knowledge that too much sugar can harm your weight, liver, brain, and teeth. So why can’t we quit you, sugar? Turns out, there’s more to sugar than its sinfully sweet taste. 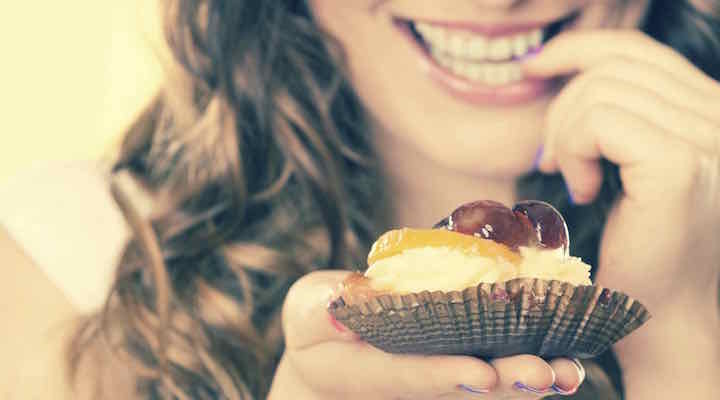 When your brain experiences sugar, it’s love at first sight. That spark is because of dopamine — also known as the “reward chemical.” Sugar fuels dopamine, which causes your brain to light up and literally crave more. You can do so much better…read the ingredients. Everything happens for a reason…including sugar cravings. See what else is out there…explore sugar alternatives. Artificial sweeteners are in pre-packaged foods and can be used at home, too. Unlike sugar, they can help with weight control and won’t contribute to tooth decay and cavities. Challenge yourself! Cut ties with excessive sugar consumption, and you’ll be better off in the long run. We want to hear your sugar strategies. How do you control your cravings?